BALTIMORE, MARYLAND - The Baltimore Comic-Con returns this September 25-27, 2015. Held at the Baltimore Convention Center in Baltimore's Inner Harbor, tickets for the Baltimore Comic-Con and Harvey Awards are now available. The convention is very pleased to announce its first media guests for 2015, Katie Cassidy and Paul Blackthorne, stars of television's Arrow, adapting the DC Entertainment character Green Arrow and his supporting cast. Katie and Paul will be in attendance Saturday and Sunday. Katie Cassidy, one of Hollywood's most engaging young actresses, can currently be seen as the female lead in the smash hit CW series, Arrow. Based on the DC Entertainment Green Arrow comic, Cassidy plays Laurel Lance, an attorney and ex-girlfriend of Oliver Queen, who becomes Black Canary, fighting crime with Oliver (Green Arrow) and his team. Cassidy can also be seen in the thriller titled The Scribbler, based on the 2006 Image Comics graphic novel, in which she plays the lead character 'Suki' and co-stars with Michelle Trachtenberg and Eliza Dushku. Cassidy's other film credits include: Monte Carlo, A Nightmare on Elm Street, Taken, Black Christmas, Click, The Lost, and When a Stranger Calls. No stranger to the small screen, Cassidy's other television credits include playing the female lead in CBS's 13-week murder mystery mini-series Harper's Island along with CW's Gossip Girl, Melrose Place, Supernatural, and 7th Heaven. Off screen, Cassidy is very involved in H.E.L.P Malawi. Katie and H.E.L.P Board Members journeyed to Malawi in 2009 to visit and participate on the grounds. Katie witnessed first hand H.E.L.P's ongoing efforts. While in Malawi, Katie learned how H.E.L.P. utilizes resources in the natural environment to teach the children and the community self-sustaining skills. She helped to plant crops, make stoves out of mud and clay, and harvest the jam and peanut butter ingredients which were grown at the local school. Katie left her special mark in Malawi by creating the Katie Cassidy and Friends Garden. She also designed a necklace to raise money for the foundation that can be purchased online. 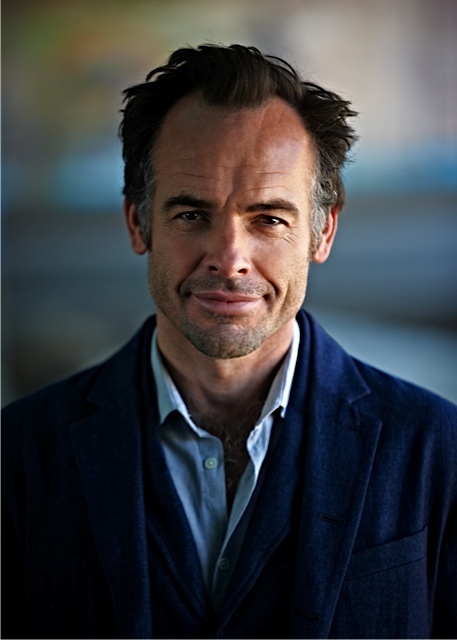 British born actor Paul Blackthorne will be returning to primetime TV this fall for a fourth season as Quentin Lance on the CW's hit series Arrow. Father to Cassidy's Laurel, Quentin Lance is a police officer who struggles with the ongoing vigilantism and his role in law enforcement in Central City. Last fall, he appeared in Dumb and Dumber To, the long-awaited sequel to Dumb and Dumber with original cast members, Jim Carey and Jeff Daniels. In 2000 Blackthorne starred as the villainous Captain Russell in the Oscar nominated film Lagaan. The Oscar campaign brought him to Los Angeles where he landed many roles in American television and film. He played manipulative reality show producer, Clark Quietly in ABC's paranormal thriller The River and has appeared opposite Ted Danson in CSI and Callie Thorne in Necessary Roughness. Blackthorne played Stephen Saunders in Season 3 of 24, and starred in NBC's Lipstick Jungle opposite Brooke Shields. He is well known for his portrayal as the inimitable Harry Dresden in the SiFy series The Dresden Files. Other credits include: ER, Deadwood, Burn Notice, and Monk along with the movies Special and A Christmas Carol directed by Robert Zemeckis. Blackthorne's directorial debut ,This American Journey, was released last fall. This documentary film follows Blackthorne and Australian photographer Mister Basquali as they travel across America interviewing everyday Americans about how they feel about their country and their hopes for its future. Along the way, stereotypes are shattered and wisdom found in the most unexpected places. Blackthorne spends his free time traveling the world, and is an accomplished photographer. His first exhibition, 'Fish Heads and Other Things', took place in London and raised money for Greenpeace. This was followed by 'Bollywood Backpack' which raised money for the Gujarat Indian earthquake victims. His most recent collection, 'Delhi to Manhattan', was presented at Tibet House, New York and chronicles his journey through India, trekking in the Himalayan Tibetan communities and his meeting with the Dalai Lama in Dharmsala as part of 'The Missing Peace' project. Proceeds from this exhibition, which can be viewed at www.paulblackthorne.com, went to the Tibetan children's villages in India. Blackthorne was born in Shropshire, England in 1969. His acting career began at age 12 year when he joined the illustrious National Youth Music Theater at the Edinburgh festival. Blackthorne studied the Spiritual Psychology of Acting in London from 1996-1998 with acclaimed teacher John Osborne-Hughes. Autograph, Picture, and Media Guest VIP Tickets can be purchased at http://baltimorecomiccon.com/tickets. "This is really exciting for us," said Marc Nathan, promoter of the Baltimore Comic-Con. "We constantly get requests for more media guests, but as a comic book convention, we are specifically interested in staying true to our roots. We're all fans of Arrow and enjoy seeing interpretations of our favorite comic book characters make the leap to television and in movies, so being able to announce Katie and Paul as our first media guests of 2015 is a thrill and a treat. We know their fans, and fans of the show in general, are going to be ecstatic to hear this news!"